Christmas day was full of family, food, and of course a few gifts. We got up, opened some presents, had Christmas Breakfast (potato sausage!! ), and opened a few more presents. Check out one of my gifts! Yup, it’s a Ukulele I got from one of my Grandmothers. 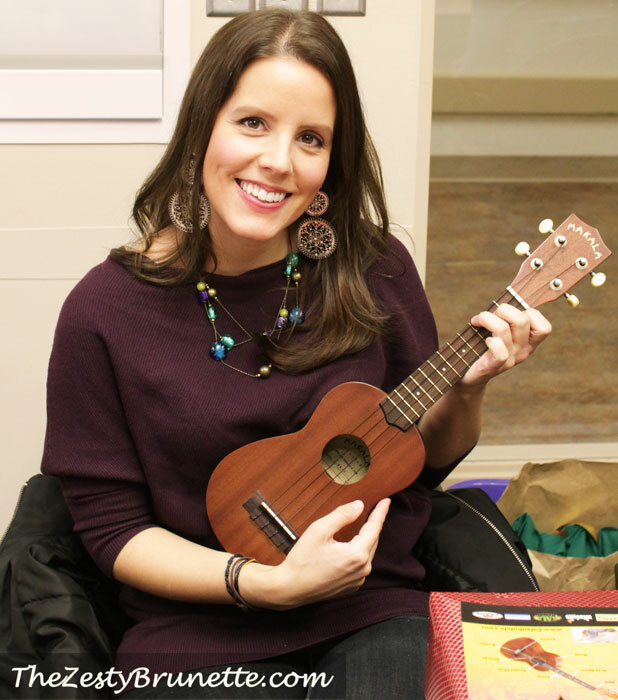 I’ve been playing the guitar for the past couple of years and am now excited to learn to play a Uke! Thanks Grandma! Now, onto the food! 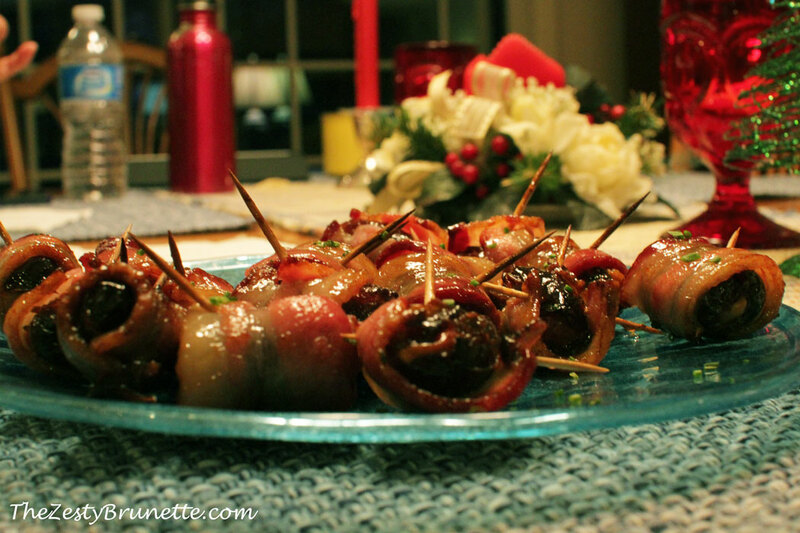 Before Christmas dinner we enjoyed some stuffed dates: Bacon Wrapped Dates Stuffed with Manchego. The recipe came from Chef Anne Burrell. The dates were sweet and chewy while the bacon and cheese added a crunchy and creamy texture. There’s also some maple syrup brushed on top making the dates sweet and sticky. Yum! 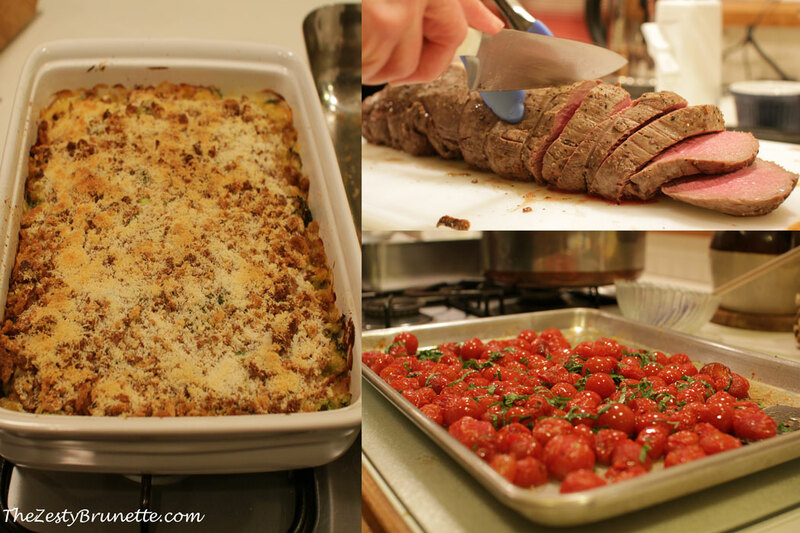 For dinner we had beef tenderloin with a shiitake mushroom sauce, roasted cherry tomatoes with fresh basil, broccoli casserole, and mashed potatoes. Here’s it is on the platter. Doesn’t it it look delicious? My Mom’s big on meal presentation and she always does a great job! 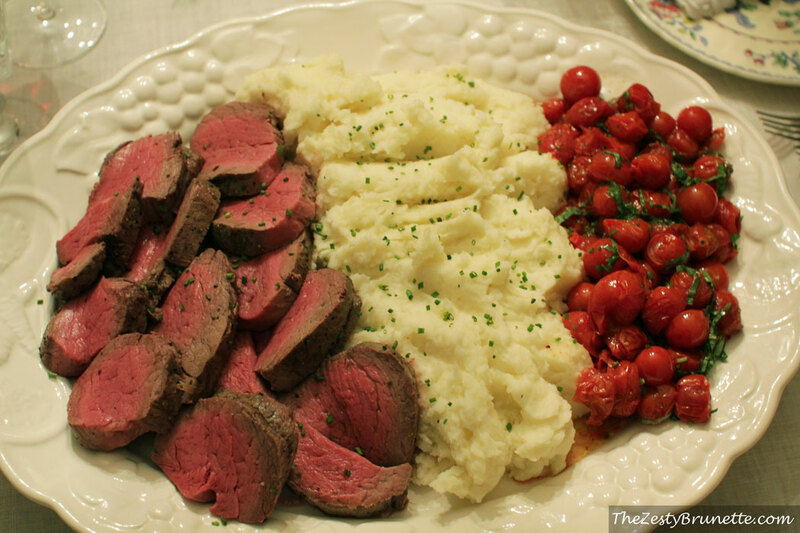 The beef was tender and juicy. I love the shiitake mushroom wine sauce we usually make to go with the beef. It’s a little bit sweet (not too much though) and the mushrooms are so tender! The figgy pudding was sweet and crunchy (it contains nuts). 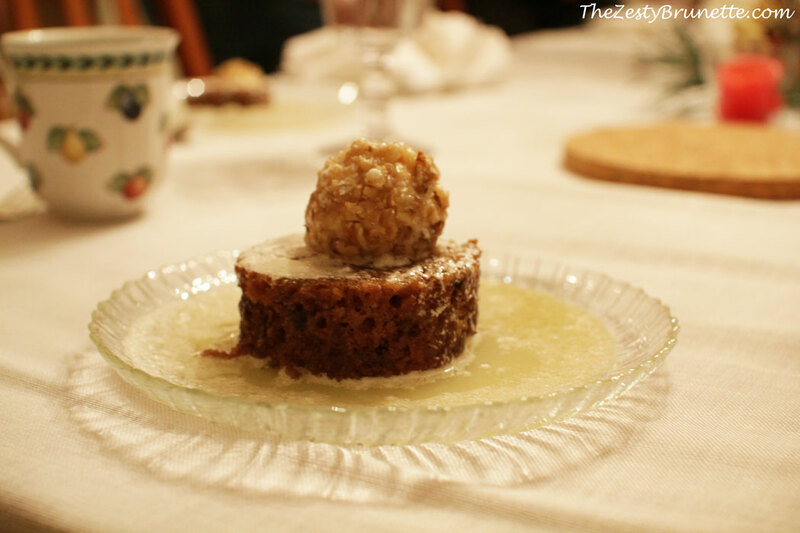 On top of the pudding is a butter ball rolled in nuts and a butter sauce. Man, with all the butter in this dish, it’s a good thing we only eat it once a year. I was pretty full from dinner so I only at a half a piece of my pudding. 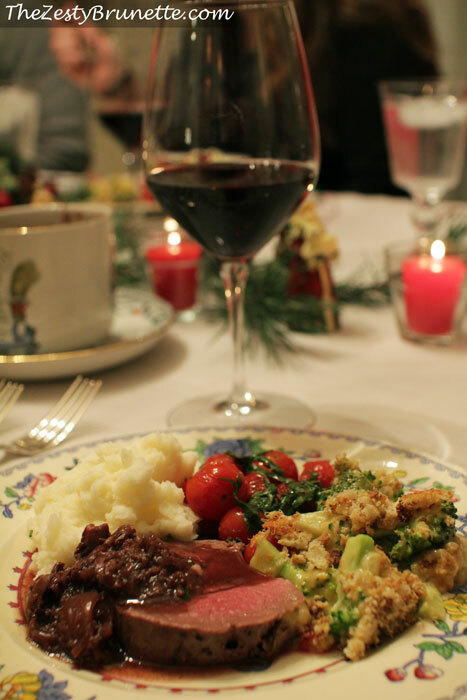 You may be surprised after this post, but Christmas isn’t all about the food for me. It’s about spending time with my family and friends and making sure they all know how much I love them and are glad they’re in my life. 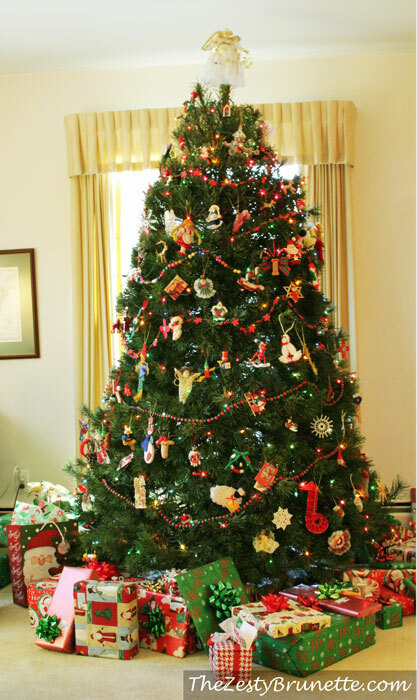 I hope you and your families had a very Merry Christmas too.